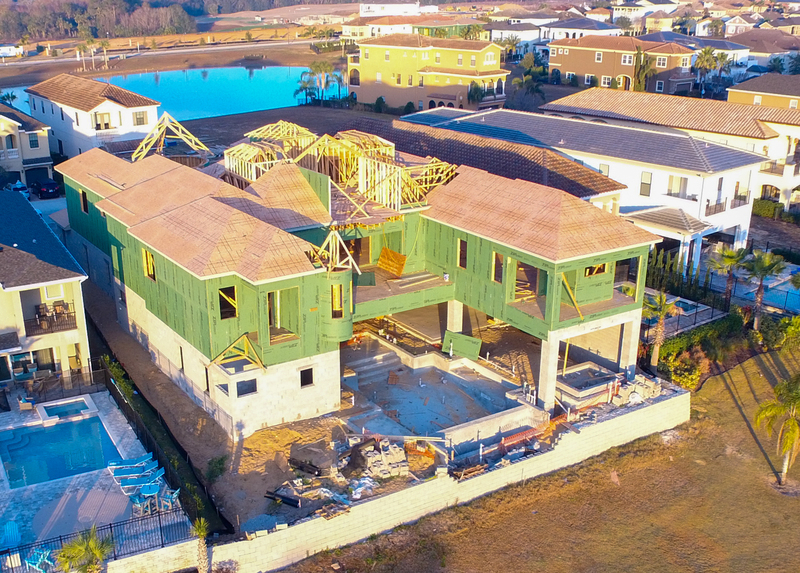 This 10 Bedroom Custom Home is Moving along on Golden Bear Drive, overlooking the 15th and 16th holes of the Jack Nicklaus designed PGA course. Due for completion in the summer of 2018, the specification is setting a high bar in the Orlando theme park area vacation rental industry. Unique features include a shallow splash area that has been designed under the lanai, offering respite from the scorching hot sun for families with younger children. With a keen eye for flair and detail our realty team and the home owner have spared no effort to consider the guest experience for multi family vacations. Of course, those stunning golf views in the best community near Walt Disney World make the whole package a dream investment! Previous Details Are Driving the Demand in Reunion Resort!